As Arizona gears up for Super Bowl XLIX, different organizations throughout the Valley are working together to aid foodbanks in a joint effort known as the Souper Bowl of Caring. 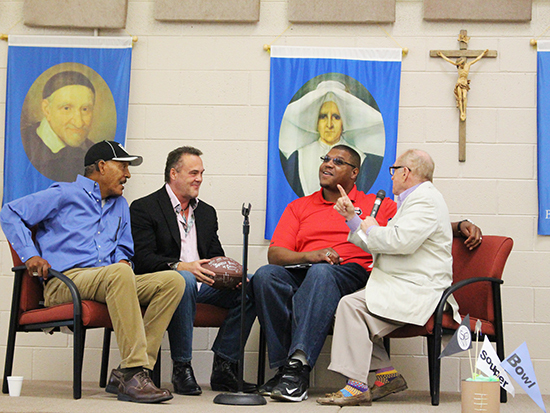 The initiative kicked off Wednesday with a luncheon at St. Vincent de Paul's main campus and featured notable speakers, including a Q&A session with NFL Legends Mike Davis, Nick Lowery and Lincoln Kennedy. Started in 1990 by a youth group in South Carolina, Souper Bowl of Caring has now expanded to the whole nation, but the mission has remained the same: collect food for those who need it the most during Super Bowl weekend. Since its conception, the organization has raised more than $100 million that went directly to food banks. "Hunger in Arizona is a reality," said TV and radio personality Pat McMahon who emceed the luncheon. "It is a very sad reality." St. Vincent de Paul, Souper Bowl of Caring and other food banks are not alone in trying to fight poverty and hunger. 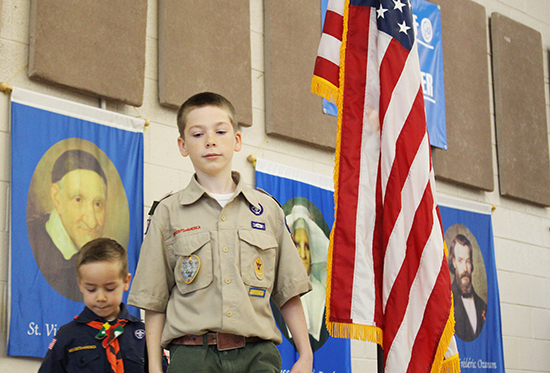 In fact, many organizations around the Valley have joined them, including Boy Scouts of America through their Grand Canyon Council's Scouting for Food Drive. "More than one in four children in Arizona don't know where their next meal will come from," said Brian Simpson, Communications Director of the Association of Arizona Food Banks. "In Arizona, 1.1 million people have to rely on stamps to get food, and out of those, more than half are children. We are thankful to folks like you who believe in the cause and are committed to fighting hunger in Arizona." Three Valley restaurants are also doing their part for this worthy cause: on Jan. 27 California Pizza Kitchen, Serrano's and Chompie's will donate a part of their sales to a food bank. California Pizza Kitchen will also do this on Jan. 28 and 29. If you would like to help tackle hunger, consider hosting your own food drive. You can do so by registering here . "Remember, one can can make a difference," said Clara Cooper, CEO of Souper Bowl Headquarters.